Christina Grant is the Chief of Charters and Innovation for the School District of Philadelphia. During the Fellowship, she served SDP as the Assistant Superintendent for the Innovation and Opportunity Networks, managing 25 programs/schools serving over 6,000 students. Previously, Christina was the founding Superintendent for the Great Oaks Foundation supporting schools in New Jersey, New York, Connecticut, and Delaware. In this role, Christina developed strategy for the expansion and implementation of Great Oaks Charter Schools, managed and supported school leaders, and managed school boards. Christina was a founding Executive Director at NYCAN (part of the 50CAN network). 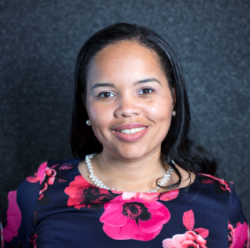 Prior to NYCAN, Christina served as the Managing Director of New Site Development at Teach For America, developing strategy and approaches for opening new sites including legislative changes, fundraising, and establishing university and district partnerships. Before working at Teach For America, Christina served as the Deputy Executive Director for the Office of Charter Schools at the New York City Department of Education. She holds an M.Ed. from Columbia University Teacher’s College, an M.S. in Teaching Adolescent English from Fordham University, and a B.A. from Hofstra University.